To help people advance toward their mental and physical thresholds, Michael will use every tool in the trainer's toolkit. He teaches physical fitness that has no borders! Clients: More than 15 clients 1-on-1; 50-plus clients in private Boot Camp classes. Michael had been asked enough times for fitness advice that eventually, he opened his eyes to the prospect of getting paid for it. He&apos;s still young, but he has already has built a loyal clientele and a business in New York City by doing things the right way. He helps his clients rediscover the wonders of healthy living, which isn&apos;t as easy or simple as it sounds. 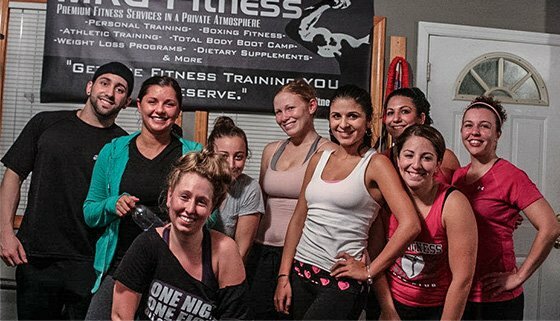 Trainers have to push, and sometimes shove people, to the forefront of fitness. Every inch gained is worth the effort, for both trainer and trainee. My introduction to the fitness lifestyle is as cliched as you probably imagine. As a preteen, I suddenly found that a diet filled with processed foods and late-night snacks was catching up to me. I used the help of a local gym, the guidance of a retired bodybuilder, and sifted through the abundance of information on the Internet. I was fascinated with the human form. Anatomy, physiology, exercise science, and nutritional studies consumed my free time. I found that applying my research to my training and eating regimen had a profound effect on my body. 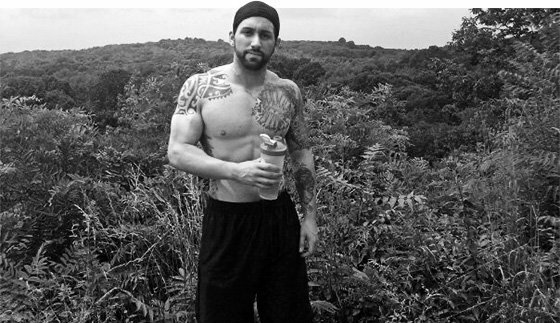 I&apos;ve dabbled in various training programs: bodybuilding, powerlifting, martial arts, cross-training, and gymnastics. Through trial and error, persistence and determination, I found that these disciplines gave my life balance and direction. Through my fitness career, I discovered it was not only possible to develop a body to suit your needs and desires, but improve the mind as well. There&apos;s a symbiotic connection between them. I believe these same fundamentals have transferred into my everyday life and business. Over the past 11 years I have crossed paths with many people who seemed to be going through the motions. They seem to think going to the gym and standing around socializing constitutes a workout. Other people are a danger to themselves and others once they get going. "With the right approach or through example, I was able to positively influence people who needed additional structure in their fitness regimen." It can be hard to reach out to these people, even with the most sincere intentions. Most people aren&apos;t checking their egos at the door and find helpful advice as an attempt at condescendence or intimidation. I&apos;ve found, with the right approach or through example, I was able to positively influence people who needed additional structure in their fitness regimen. Soon enough, men and women twice my age were seeking my fitness advice in and out of the gym. Powerlifters and bodybuilders were asking me to critique their form and training. I noticed my natural inclination toward training and followed it. After some time at a commercial gym, I jumped on an opportunity that allowed me to open my own private fitness studio: MRG Fitness. I&apos;ve gotten the chance to work with some great people and have been featured periodically in the local paper. I tend to focus on major compound movements. I also throw in a mix of circuit, HIIT, explosive movements, and calisthenics training to help my clients build a form that looks good and performs well. "Long-term fitness goals can only be established by instilling a reflective, self-motivated attitude." I&apos;ve also become partial to gymnastic movements. I find they build great fundamental strength. I make sure to establish with my clients that fitness programs are a competition with oneself, not the guy next to you, and not the people on your fitness magazines. You need to constantly challenge yourself to redefine your limitations. I set up a structure for them to grow. Long-term fitness goals can only be established by instilling a reflective, self-motivated attitude with an ultimate aspiration in mind. Simultaneously, their fitness regimen grows as they do, challenging them enough to create continuous progression as they try to master the next step of their routine. I try to help my clients gain a practical knowledge of exercise and nutrition that lasts longer than any training session. They leave our sessions with better bodies and a newfound appreciation for fitness. Nothing makes me happier than to spark enthusiasm in the minds of my clients, because they&apos;ll never achieve their long-term goals without that passion. When a client tells me I&apos;m the reason they were able to take control of that aspect of their life, it makes the job worthwhile. I have worked with a wide range of people as a trainer: bodybuilders going for pro cards, brides-to-be, high school athletic teams, Division-I collegiate athletes, average joes, and successful pageant queens. The most common mistake a client or trainee can make is inconsistency in their training and nutrition. Some people who try to establish a new healthy habits take on an all-or-nothing attitude due to the high amount of misinformation that goes around. It&apos;s a common problem. New trainees think fitness just occurs overnight. A good trainer will be honest with them, break down misconceptions and put them on the long path to a fit life. People look for instant gratification from their endeavors. This is a setup for disaster, especially for someone who is a newbie to the fitness game and can be easily discouraged before their results come to fruition. A good trainer will get control of this before it&apos;s too late. I&apos;ve had the privilege of meeting many talented trainers in my time in and out of gyms, but some trainers are definitely better than others. The most common mistake a trainer could make is over- or underestimating a client&apos;s capabilities. An initial fitness assessment can be one of the most difficult aspects of creating a customized program to suit a client&apos;s physical and mental abilities. But it&apos;s as essential to the clients&apos; safety and health as it is for the development of an exercise regimen. They should be re-assessed periodically to reconfigure the workouts accordingly. A trainer is worth it if they&apos;re willing to walk through fire for you. Assessing a client&apos;s capabilities is by far the most important aspect of creating an effective and safe fitness program. How can you figure out where you want to be if you don&apos;t know where you&apos;re starting? My assessment tends to be broad but can be relevant to their specific needs. Once my client&apos;s physical and mental thresholds are fully established, I ease my clients into testing those limits. I like to discuss different practical eating and training strategies with my clients so they understand that this shouldn&apos;t just be something to do when they need to get into shape quick. It&apos;s a lifestyle and needs to be treated as such. After getting to know my clients&apos; specific needs, I&apos;ll give them a structured meal plan, guidelines, and a suitable training program. I find different ways to support and inspire my clients according to their needs and goals. No two people are the same, so particular drives and aspirations need to be treated appropriately. Recently, I encouraged my clients to branch out into fitness activities outside the gym. 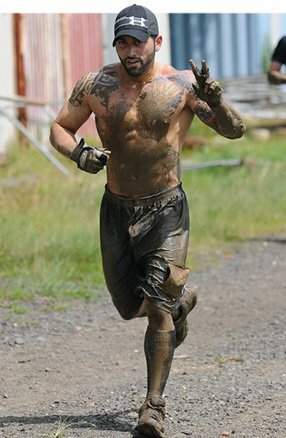 These include sports, hiking, swimming, and, one of my favorites, obstacle races! 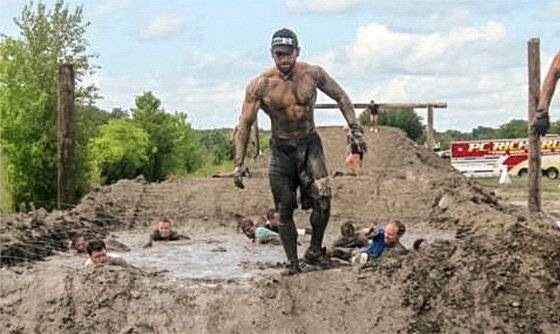 I&apos;ve had clients get into the best shape of their lives preparing for races such as the Spartan Race and the Rugged Maniac. "I encourage my clients to branch out into fitness activities outside the gym. 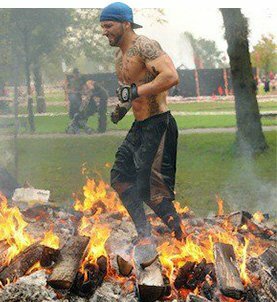 These include sports, hiking, swimming, and, one of my favorites, obstacle races!" How have your refined your approach to clients? If there is one thing I&apos;ve learned as a trainer, it is patience. Everyone has different thresholds and inherent capabilities that need to be handled differently. Learning to deal with the various personalities that walk through the door has been a trial and error sort of experience. I had to become a better catalyst to motivate people toward a healthier lifestyle. I make sure to keep up with the latest exercise, nutrition and physiology journals in order to deliver the most effective workouts to my clientele. I believe it&apos;s a common misconception that men and women need to train differently. While their motives to attain a specific physique might compel them for different reasons, their exercise regimen should in many ways parallel one another. I find that my female clients tend to have more specific insecurities they want to address in their fitness regimen, or maybe they&apos;re just more verbal about it. I enjoy training all my clients equally; everyone presents a unique challenge. I don&apos;t have a preference. I absolutely feel like a psychologist on a daily basis. Everyone has ups, downs, and insecurities. It&apos;s no surprise that strong emotions find their way into the gym. Exercise can be a cathartic experience for people, especially when they push a body to its utmost limits. The trials and tribulations of working out can be overwhelming. I tend to be firm and supportive with my clients and encourage using these emotions proactively. With the proper perspective, these sentiments can be used as fuel for their fire and will help them achieve their goals.